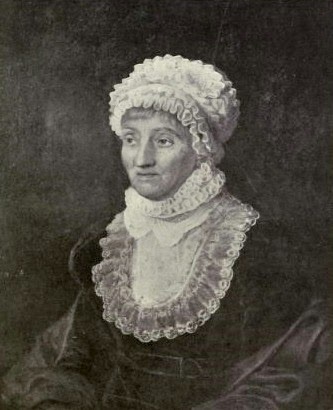 Caroline Lucretia Herschel was the first woman to discover a comet, to receive a salary for her services to science, to be awarded a Gold Medal of the Royal Astronomical Society, and to be named an Honorary Member of that same association! Yet, when she was little, it seemed all she was destined to be was a house servant. Born at Hanover on 16 March 1750, Caroline was the eight child of Isaac Herschel, a bandmaster in the Guards, and his wife Anna Ilse Moritzen. When she was 10, she contracted typhus. Although she recovered, she never grew past four-foot three. Her mother, sure that house service was now the only choice left to Caroline, opposed her husband’s wish to educate her. The young girl was taught only millinery and dressmaking, arts that could have allowed her to support herself one day. But, when Anna was away, Isaac took the opportunity to teach Caroline much more. Sometimes, her brother William joined them. Some of these lessons were about astronomy, a discipline both Isaac and William loved. When William moved to England in 1757 to teach music, he spent his evenings studying the stars. One night in 1781 he discovered the planet Uranus, which earned him the title of King’s Astronomer, a knighthood, and even a pension of 200 pounds per year! But all that was still far away when, in 1772, his father died. William now proposed to his sister to come and live with him. To support herself, she sang in his choir (William was now a choir master in Bath) five times a week. Although William was very busy with his musical career, he still loved astronomy. He became more and more immersed in it, especially after he was knighted. Caroline would help him there too. She became his assistant and, in the process, learned a lot about astronomy. And she loved it. Although she always did what William told her to do, it wasn’t long before she started making her own discoveries. Among them were three nebulae ad several comets, including one named after her (35P/Herschel-Rigollet). Her work attracted the attention of the King, who gave her a salary of 50 pounds a year to officially work as William’s assistant. She then went on to correct the many errors found in England’s star catalogue published by John Flamsteed. Sister and brother had always got along well until, in 1788, William, at the ripe old age of 51, married a rich widow, Mary Pitt. Although Caroline was accused of jealousy, the tensions were caused by the changes a marriage implied. Not only Caroline wasn’t in charge of all household matters anymore, but she had to move out of the house she had lived in for so long. Even worse for her, she had to give back the keys to the observatory and workroom, where she had worked with passion for years. However, she was able to move back in when William and his family were away, and his marriage didn’t seem to have affected their working relationships. They were still a great team. But William’s marriage also had another effect. Caroline became more independent and made more discoveries on her own. 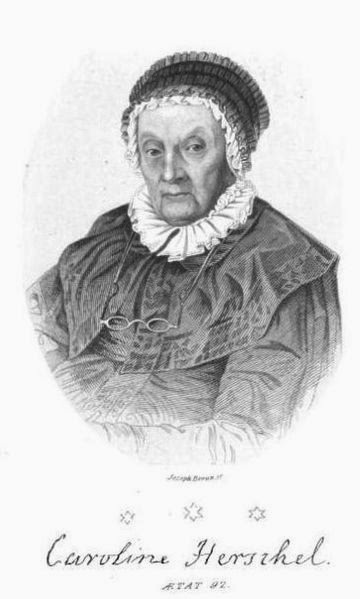 In her old age she was even able to set aside her differences with her sister-in-law, with whom she corresponded, and became close to her nephew, the astronomer John Herschel. 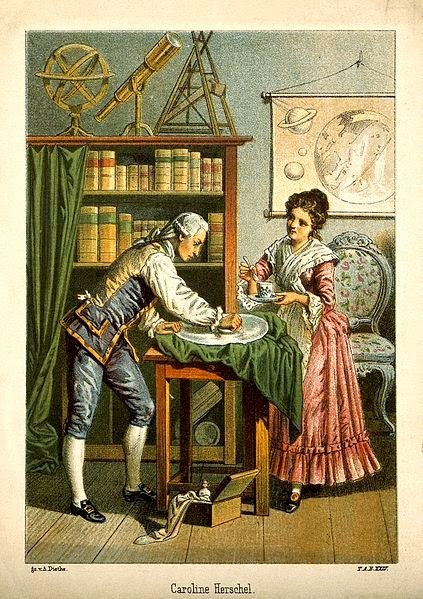 When her brother died in 1822, Caroline returned home to Hanover, where she continued her astronomical studies. Six years, the Royal Astronomical Society presented her with their Gold Medal for a catalogue of nebulae she had created to assist her nephew’s work. She also got another gold medal, in 1846, this time from the King of Prussia. In 1835, she was elected honorary member of the Royal Astronomical Society and, in 1838, honorary member of the Royal Irish Academy in Dublin. Caroline died at Hanover on 9 January 1848.